I am from Nashville, TN. I’ve been married to my beautiful wife Christi for over 20 years and we’ve been blessed with two wonderful kids; our son, Price and daughter Anna. We are a Christian family and absolutely acknowledge our Lord and trust Him to direct us in everything we do. My favorite thing to do during my free time is to spend time on the lake with my family and friends. I also enjoy playing guitar, fitness and most everything outdoors. I’ve been in HVAC industry for over 23 years. I am NATE (North American Technician Excellence) certified, a HERS Energy rater as recognized by Energy Star (and current with the latest version 3 certification), Manual J certified, have completed LEED for Homes Green Rater training, and have several years of continuing education in building science. I’ve also completed various specialty training programs such as Mitsubishi’s City Multi ductless design training and Hydron Module’s geothermal training. Before beginning work in the industry, I also received my diploma from Tennessee Technology Center’s HVAC program. Aside from the credentials, I believe our greatest strength is just the way we conduct our business. We believe in what now is often called “old-school” work ethic. You can count on us to do exactly what we say we will. We pay attention to the details, treat our customers like we want to be treated and deliver all of this at a fair price. We absolutely appreciate every single one of our customers! 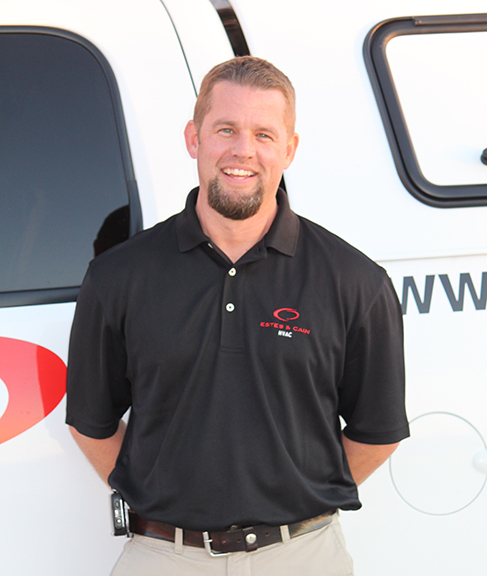 With over 23 years of experience in the HVAC and construction industries, Jim Estes can offer you sound solutions tailored to meet your specific needs – whether you are a homeowner or commercial business.